Thanks to the beloved direwolves of TV show Game of Thrones (GoT), and one extraordinary direwolf-like viral photo, the majority of residents at Shy Wolf Sanctuary Education and Experience Center (SWS) in Naples, Florida have recently gained considerable respect. DNA test confirmed that Yuki is indeed 87.5% Grey Wolf, 8.6% Siberian Husky and 3.9% German Shepherd. Direwolves and the show are practically synonymous, as the Stark children found and adopted a litter of six direwolf pups (played by adult dogs) on the GoT pilot episode. GoT’s popularity has fueled interest in the extinct species believed to have lived from one million up to 10,000 years ago. 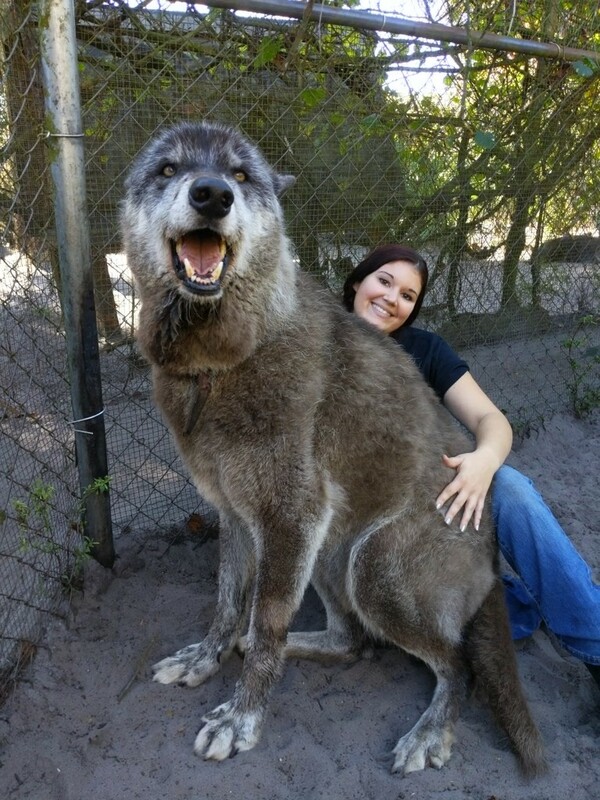 Modern-day wolves and wolfdogs can on occasion grow big enough to resemble a dire wolf (GoT Fandom). In turn, the dire wolves have helped with GoT’s success and incredible fan base growth. 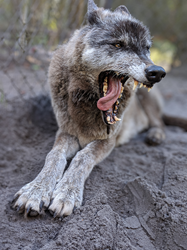 Modern day wolves and wolfdogs both represent the majority of the population at SWS, which has long outgrown its 2.5-acre facility in Naples’ Golden Gate Estates area. 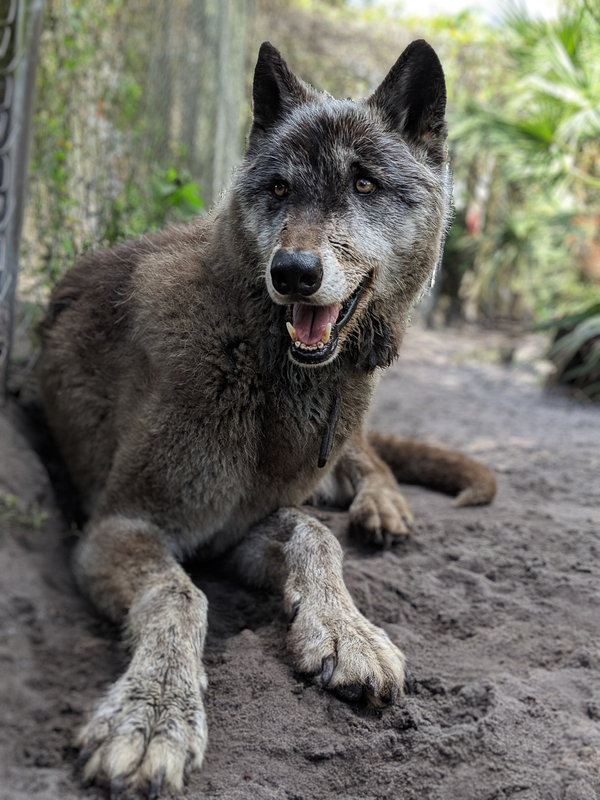 Shy Wolf Sanctuary is reaching out to ask for donations toward their relocation efforts to a significantly larger facility in Southwest Florida that will offer larger habitats with better enrichment for the animals while serving as a community resource for pets during hurricanes. This will also allow for the expansion of educational programs and university partnerships. Shy Wolf Sanctuary currently houses a variety of species including wolves, dingoes, captive-bred cougars, New Guinea singing dogs, and Florida gopher tortoises, an endangered species. With so many residents, SWS has long outgrown their current location. Wolfdogs, raccoons, coyotes and skunks have also made SWS their refuge. One look at Yuki the giant wolfdog’s happy face and it’s clear that he’s found a safe, loving forever home. When a 2018 DNA test confirmed that Yuki is indeed 87.5% Grey Wolf, 8.6% Siberian Husky and 3.9% German Shepherd, and a 2019 story about him on BoredPanda.com went viral, causing interest in SWS and Yuki’s story in particular to skyrocket. The TV show Inside Edition also recently featured Yuki’s story, noting his similarity to the direwolf. Abandoned at eight months old by his original owners living on Florida’s east coast, Yuki ended up in a Florida high-kill shelter. Thankfully, an employee at the shelter told Shy Wolf Sanctuary about him, and Yuki got a second lease on life at SWS in 2007. A GoFundMe Page has been set up to donate toward the $100,000 goal of needed funds to initiate Shy Wolf’s efforts to relocate their facility and continue their mission. Donations are also accepted via the Shy Wolf webpage. For more information about Shy Wolf Sanctuary, please contact Dragon Horse Agency at 305-306-3992, or email communications (at) shywolfsanctuary (dot) org. The mission of Shy Wolf Sanctuary, Education and Experience Center is to reconnect people and animals through education. Shy Wolf Sanctuary provides refuge and rehabilitation to wild and captive-bred exotic and un-releasable wild animals, endeavoring year-round to educate the public about the importance of protecting these animals. Shy Wolf Sanctuary provides a permanent home to over 60 captive-bred or rescued exotic animals every year. The wolves and other resident animals are housed on a 2.5-acre property in Naples, FL and are supported by 80 active volunteers. Wolfdogs are generally considered unadoptable by domestic animal services and have nowhere else to go. Shy Wolf Sanctuary is literally their last hope.